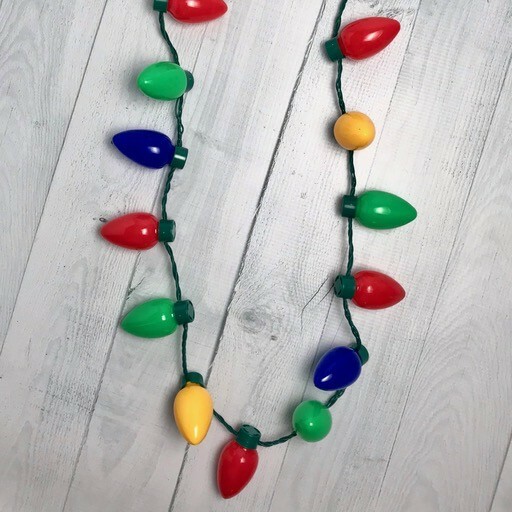 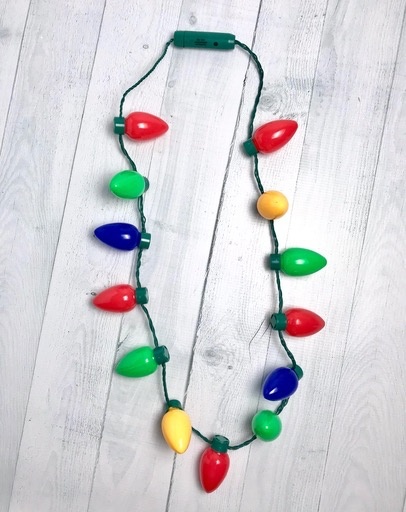 Spread holiday cheer with this light up LED necklace. 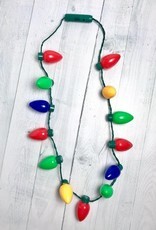 One button easily turns the necklace on and off, as well as controls 3 separate flashing modes. 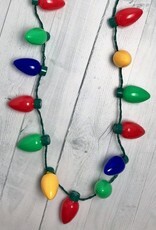 There are 13 large multi-colored plastic LED light bulbs in red, yellow, blue, and green.